All of us are passionate defenders of open electronics and supporters of the movement for open source hardware, and so today we decided to submit a list, a tribute, to those which, in our point of view, are the most important and most promising initiatives out there. Hopefully this list will bring some new inspiration to our community and maybe let you discover some project, you didn’t know it existed. Beyond the better-known and huge ones like Arduino – unquestioned instigator of the Open Source Hardware and Maker revolution – these projects could receive your support in the future or even see you participate. The team recently released a fantastic video detailing philosophy. Bold. Why important: promising implementation in real life and real development. Open Source at heart. I’m not really sure that, back in the days when Massimo Banzi used to sit around in Trieste with his friends at the Bar Arduino (he told this story at a Maker event in Rome, Arduino platform was named after a town bar if I don’t go wrong), he was aware he was basically inventing the key to the next maker revolution. Arduino’s achievements as a platform for DIY electronics are so wide that is almost impossible to count and name them: Massimo Banzi tried to do that during his TED talk in Glasgow last year. From Drones, to Satellites and Baby Kicking tracking devices Arduino is simply being used…for everything. Why important: Arduino is important since it was the unique key to empower a new generation of DIYers and Designers and contributed spread creative creation and help people to become inventors, entrepreneurs and makers. The idea is that individuals anywhere on the planet, with a minimal expense, could access to system that would enable them to manufacture many of the artifacts used in everyday life. At today, the RepRap project has released four 3D printing machines: “Darwin”, “Mendel“, “Prusa Mendel” (a simpler remix of normal Mendel mainly designed by Joseph Prusa) and “Huxley“. Developers named each RepRap after famous biologists, as “the point of RepRap is replication and evolution”. Here’s another TED talk by Joseph Prusa in Vienna. Why important: Rep Rap is a promising approach to evolution of machinery design and the Rep Rap forking and remixing ecosystem shall be taken as a model. In addition to these three well established projects, we would like to mention few others that are as interesting, and will be contributing this revolution in the coming years. Open Materials: created by Catarina Mota, TED Global Fellow and Open Source Hardware Association Board Member, the project aims to build a shared knowledge base to build intelligent, open, accessible materials. Materials have a crucial role in empowering the DIY movement and Catarina’s pioneering work will likely become crucial in the upcoming days. Here’s an interview of Catarina, again from my personal blog, if you’re interested going deeper. Open Wear: created by the Italian creative and hacktivist Zoe Romano among others, openwear project revolutionary looks to fashion industry (isn’t that hardware after all?) and enables fashion designers from all over the world to share and improve fashion designs effectively creating a – live evolving – fashion collection that can be produced and sold locally. Open Structures: created by the Belgian Thomas Lommé, open structures reinvents the concept of a common geo-spatial grid to be used in the design of everyday objects, to allow recombination, reuse and re-cycling. The low-tech approach that open structures foreshadows the evolution of a manufacturing industry that will take resources and environmental impact more into account. All these projects are contributing to make the open hardware movement stronger and help us figure out the future of hardware production. We love them all: what’s your favourite? You know one that deserves to be on this list? let us know in the comments! 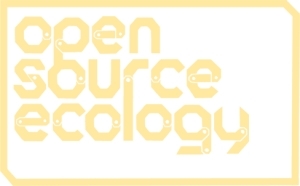 This entry was posted in Arduino, Electronics, General Know How, Open Source Ecology, Open Source Hardware, Physical Computing on January 30, 2013 by Devesh Samaiya. Have you tried any 3-D printer that is available in india? I am also curious to have one for my enclosure and to make some creative stuff with my circuits.